United Airlines’ company slogan invites passengers to “fly the friendly skies,” but makes no mention of how to do it with miles. Enter the airline’s excellent loyalty program, MileagePlus, which is currently offering three ways for members to earn anywhere from double to 2,500 miles a night at select hotels. 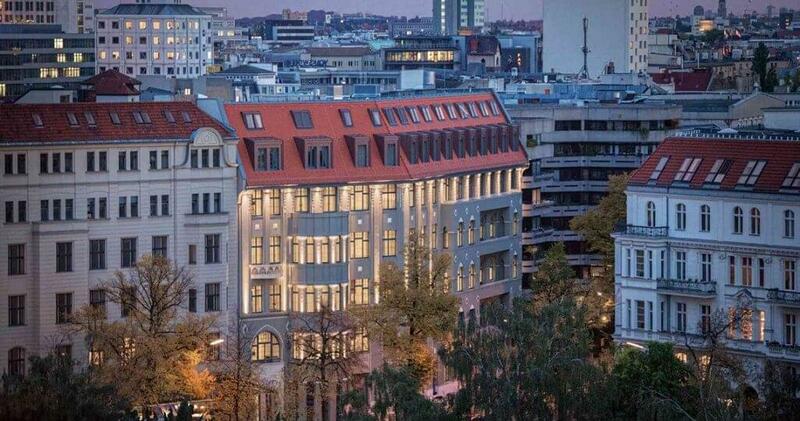 Below are the details on offers from Hilton, IHG and Marriott’s Hotel Am Steinplatz in Berlin. Hilton HHonors and United MileagePlus are offering 1,500 miles per night at over 50 locations of the Waldorf Astoria and Conrad Hotels & Resorts. This is in addition to the standard number of HHonors points you’d earn for your stay. You must book your room before December 28 and stay before December 31 to earn the bonus miles. Be sure to set United as your preferred airline earnings partner in your HHonors account. The maximum miles you can receive through this offer is 7,500. Until the end of the year, you can earn double miles at IHG hotels. You must set your earning preference to miles in your IHG Rewards Club member profile and provide your MileagePlus number while registering. You can earn a maximum of 10,000 miles through this offer. Participating IHG properties are located worldwide, and include InterContinental, Crowne Plaza, Hotel Indigo, Holiday Inn, Holiday Inn Express, Even, Staybridge Suites, Candlewood Suites and Hualuxe hotels. In the best offer of the bunch, you can get 2,500 miles per night at one of the jewels of the Marriott chain. The first Autograph Collection hotel located in Berlin, the Hotel Am Steinplatz feels as if it’s been created from the pages of a novel set during the Belle Epoque. Guests are welcomed with stylish rooms, a rooftop spa, a breakfast buffet, three-course dinners, drinks at the hotel bar, turn-down service and early check-in/late check-out. You must be a Marriott Rewards member to qualify. This offer is good until January 31, 2016. United is the world’s largest passenger carrier in terms of destinations served. It’s also a Star Alliance member. So wherever you’re planning to go, collecting MileagePlus miles can help you get there.